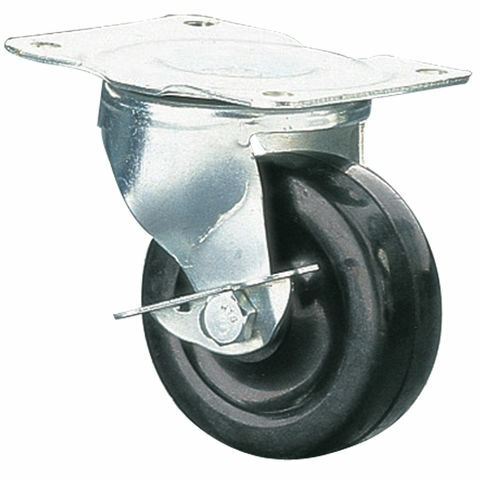 A 75mm, black polypropelyne swivel castor with brake. 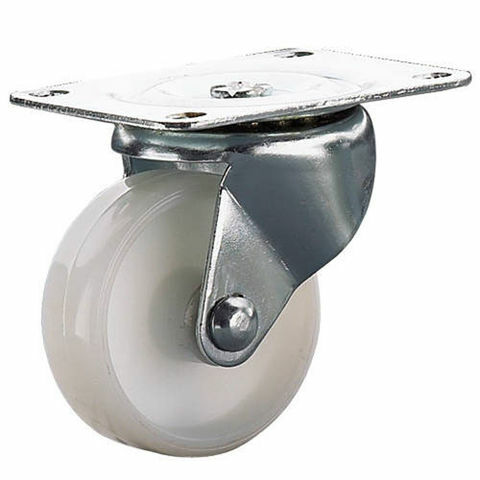 A 75mm, white nylon swivel castor. 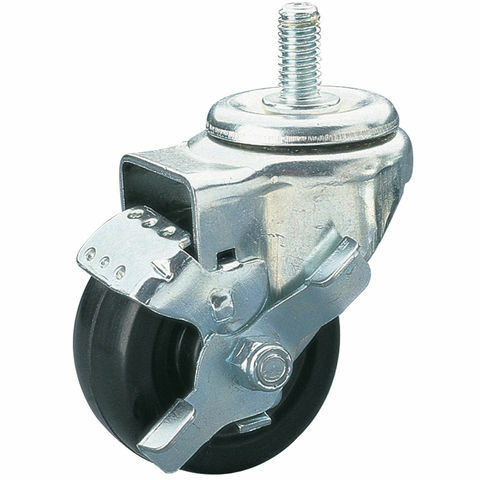 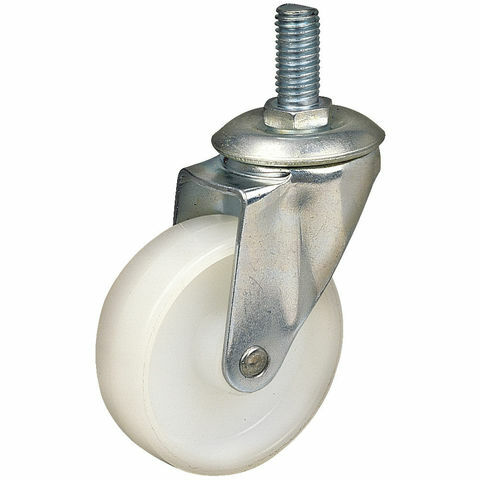 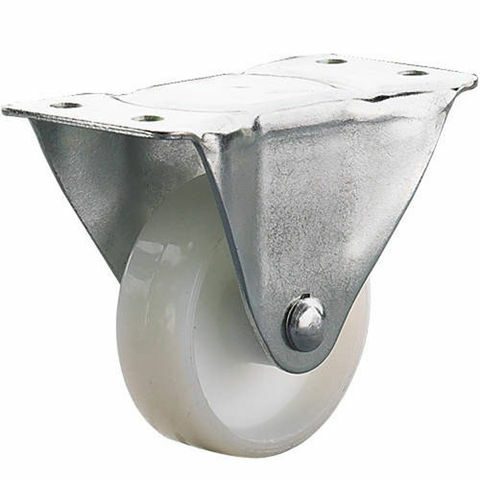 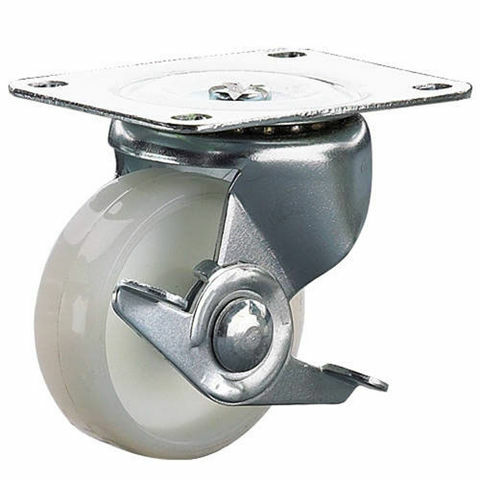 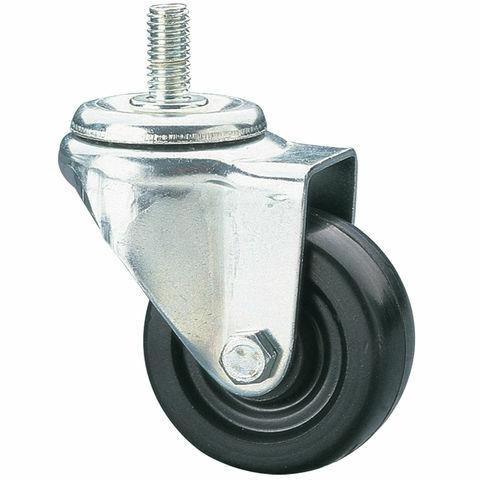 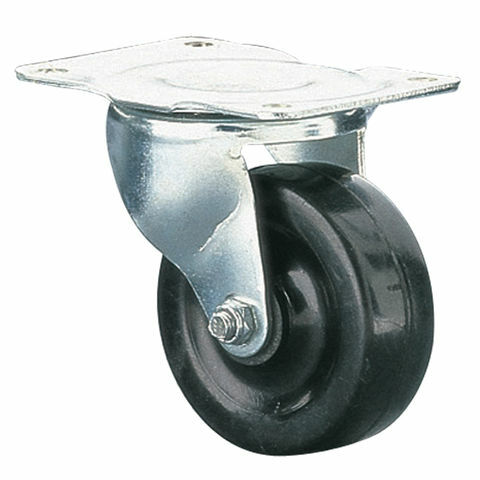 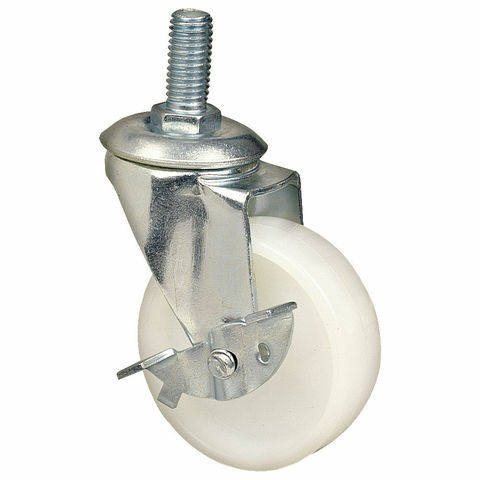 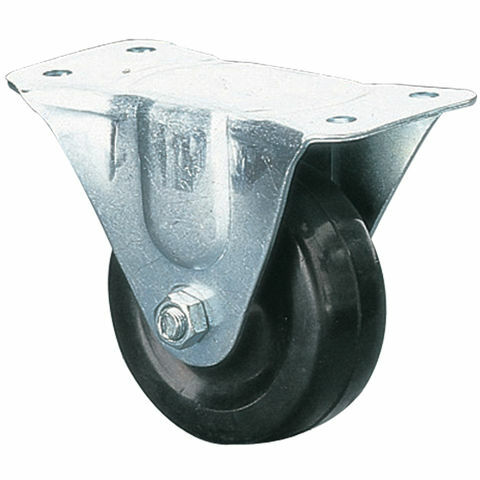 A 100mm, white nylon swivel castor with brake.